Preferred choice with highway and municipal contractors who are looking for professional performance and features, in a one-gun machine. Operator controls are located right on the handlebars – giving the ability to fine-tune the striper operations without stopping. 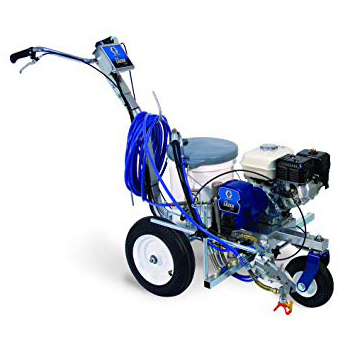 Graco® offers the best stripers, best service, and best support in the industry. Graco gives you the ability to spray waterborne, alkyd, and rubberized paints without thinning.